We're excited to announce the return of Sarah Lawrence Giving Day, our special 24-hour fundraising challenge, on 4/4. On this day, each dollar you give for student scholarships, for our esteemed faculty, for this beloved institution, will be doubled. Last year, 675 members of our community donated on Giving Day. Join alumni, students, parents, friends, faculty, and staff as we come together #all4SarahLawrence. You can powerfully affect the outcome of this day just with your enthusiasm. 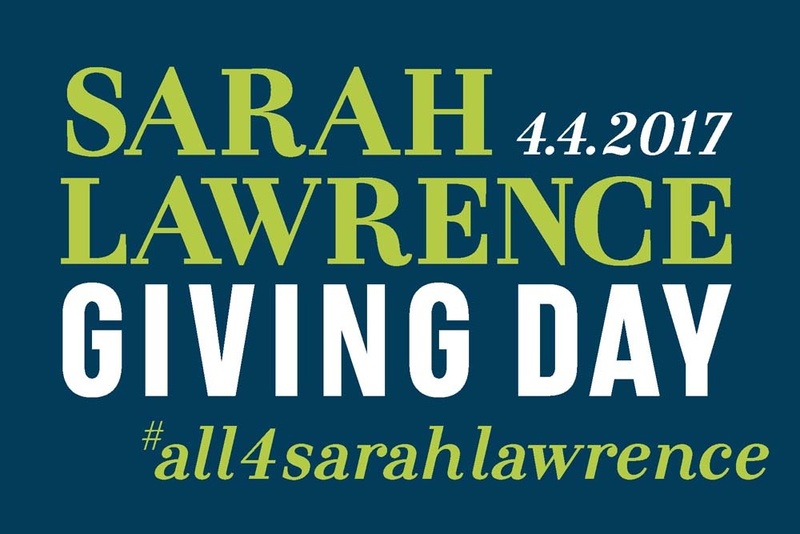 Post a message on social media using the hashtag to tell the world why you're #all4SarahLawrence. Stay connected at sarahlawrence.edu/givingday. Can't wait for 4/4? Make a pledge at 914.813.9223 or contact us at annual@sarahlawrence.edu.